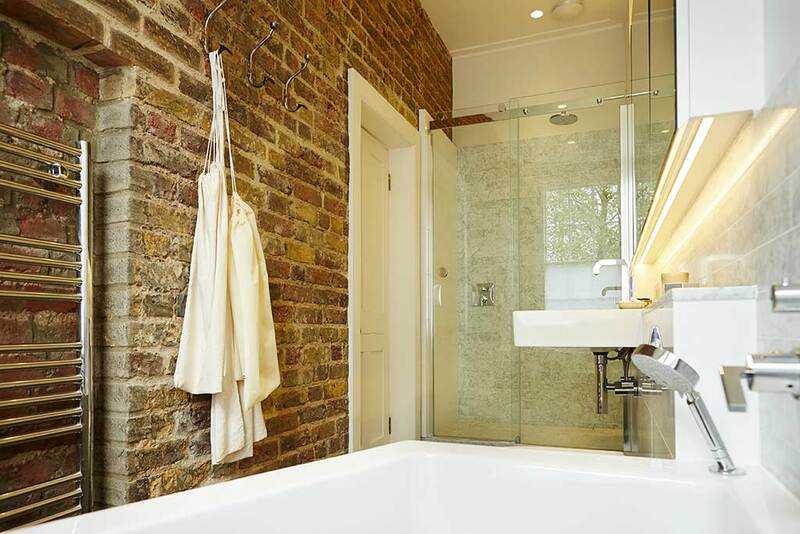 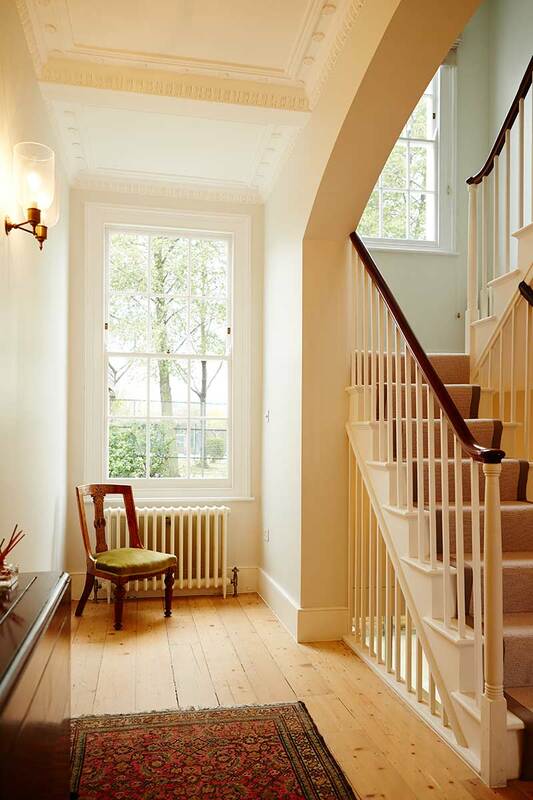 This Grade II listed house had been subdivided into four bedsits and was in total disrepair. 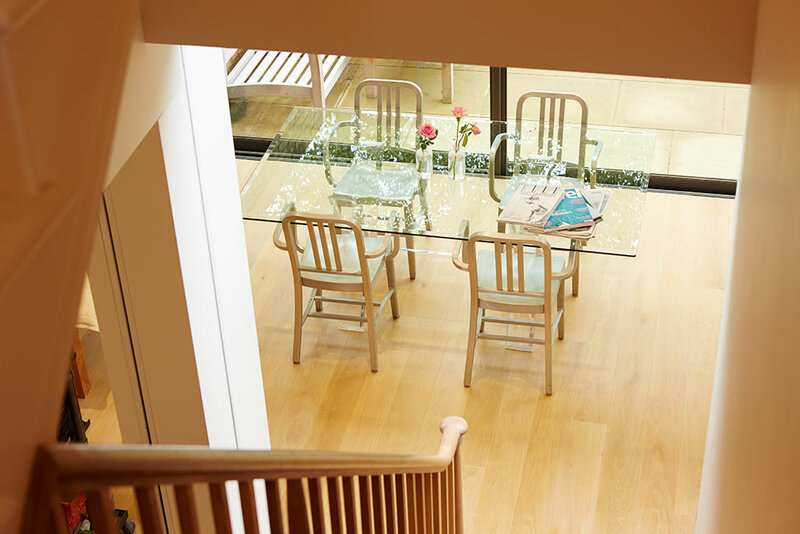 We refurbished it into a bright, open and spacious four-storey family home. 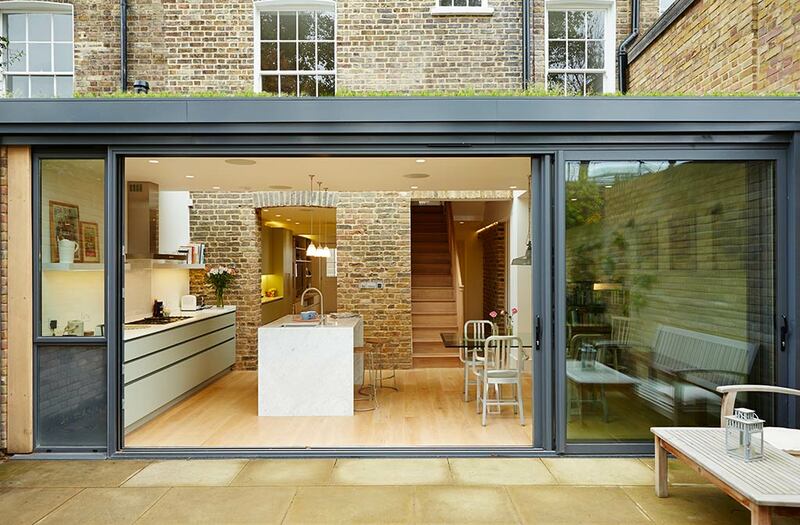 A new, glazed lower ground floor extension with green roof provides a link between the house and the rear garden. 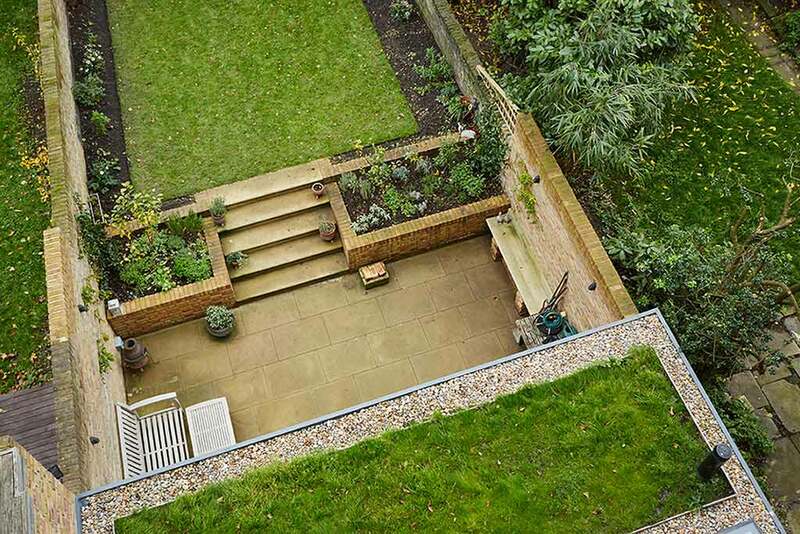 We chose a “lightweight” wild meadow green roof which only requires a single maintenance visit each year to deadhead the flowers and remove dead organic matter. 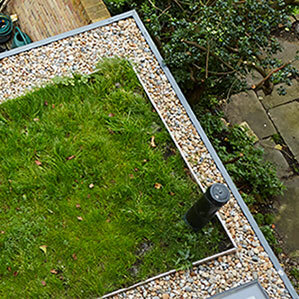 This roof type has great environmental credentials while providing a wonderful habitat for bees. 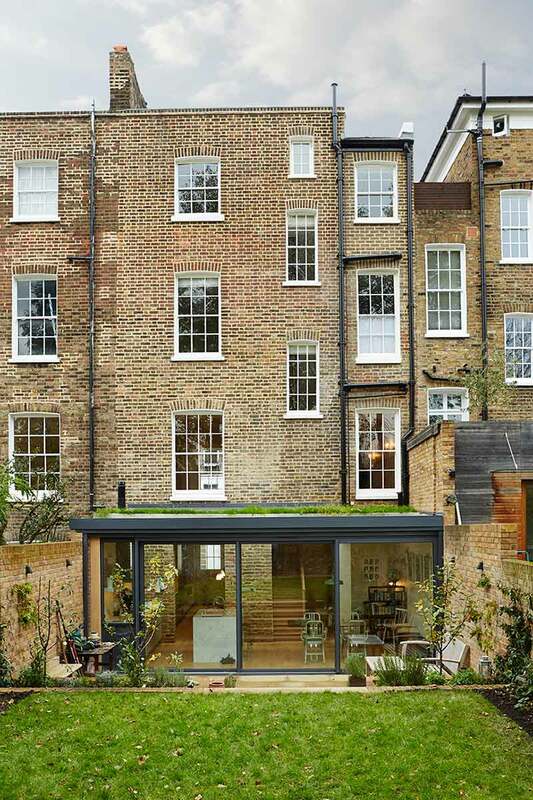 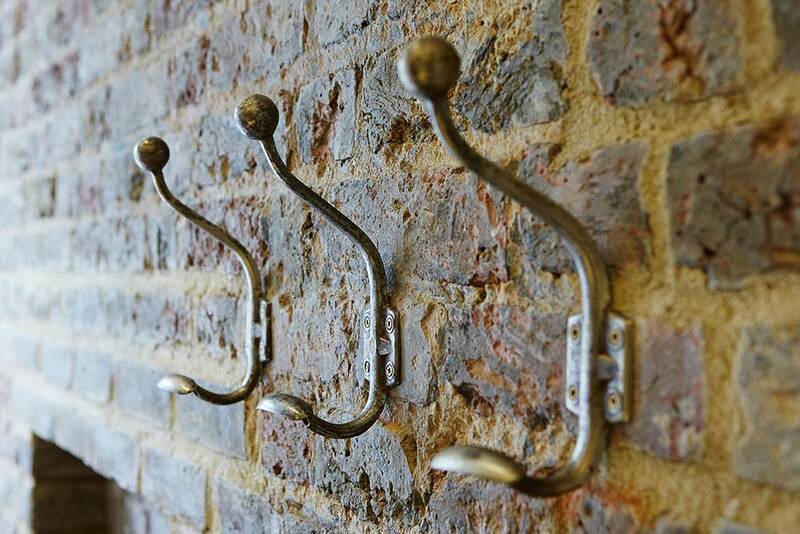 Listed building projects often require compromises to be made. 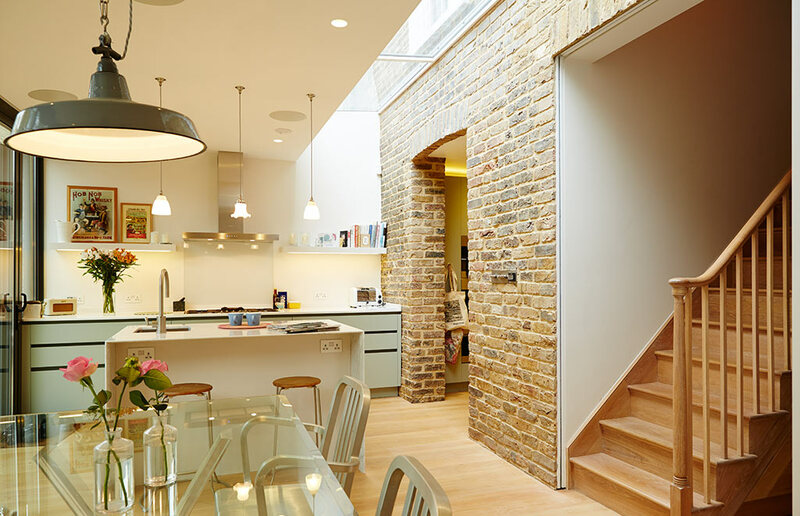 We worked closely with the Islington Conservation team to strike the right balance between creating a modern home and protecting the listed status of the building. 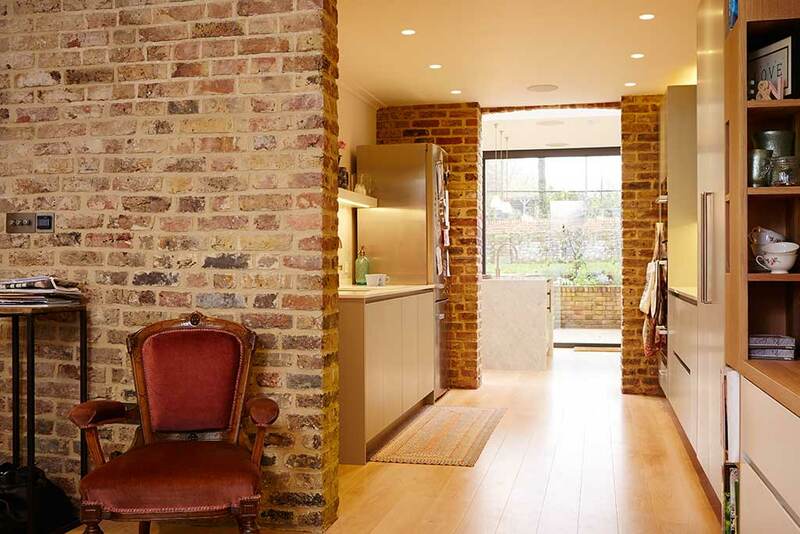 These compromises can often result in unique features that enhance the space, as this project demonstrates.